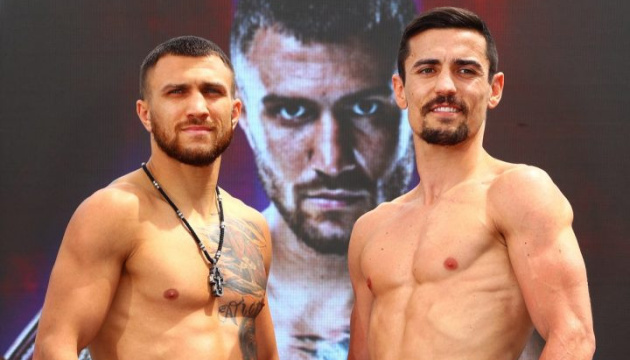 Vasyl Lomachenko and Anthony Crolla have held an official weigh-in ceremony ahead of the fight in Los Angeles tonight. 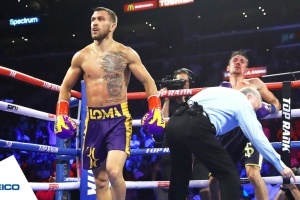 Lomachenko, the current WBA and WBO lightweight champion, showed a weight of 134.4 pounds (60.96 kg), whereas the challenger for his titles, Briton Crolla showed 134.8 pounds (60.78 kg). The fight between Lomachenko and Crolla will be held at Staples Center in Los Angeles (the United States) early on April 13. 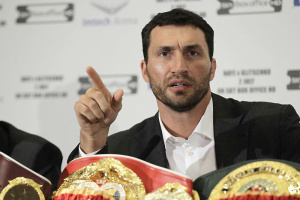 Bookmakers consider Lomachenko to be an absolute favorite in this duel. Crolla said that in the battle with Lomachenko it it important for him to use his size advantage.